This year's Annual Roguelike Release Party managed to sneak up on me and I didn't quite manage to get a new release out for it. I rescheduled for the next (the past) weekend and missed that deadline too as I ended up going for a double release and debugging two games is twice as much work. Especially if one has an unexplainable bug. Nonetheless, the game is now feature complete and I don't plan to work on it anymore unless a big bug turns up or sudden inspiration strikes me. 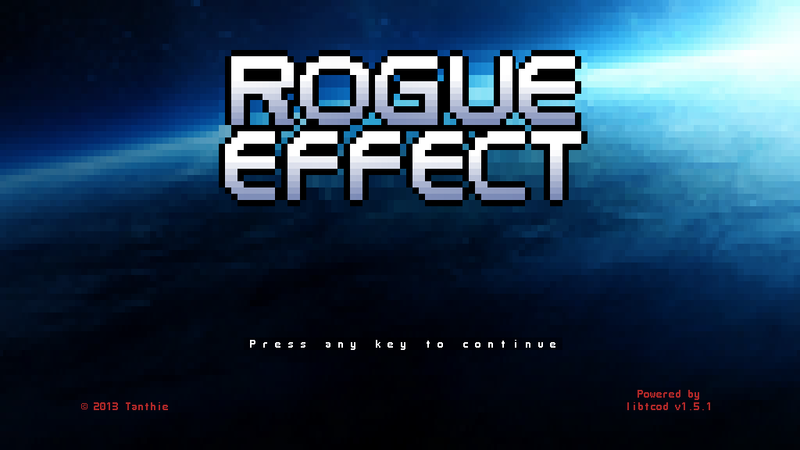 Rogue Effect was originally started as a seven day roguelike and the sort of 7DRL mentality kind of continued through the whole project: its 21.7k lines of code are full of hacks and getting things done as fast as possible disregarding how it would be later to change or add something. Since it's compiled in Visual Studio, the game requires MS Visual C++ (2010) redistributables to run. I probably should have mentioned this in the previous release(s) but I'll add the links to those now to Rogue Effect's (and Drakefire Chasm's) page. The reason I'm releasing a new version of Drakefire Chasm in addition to Rogue Effect is because last week I got an email from Teco who had found v1.3.3 too easy compared to v1.3.1 and was suspecting a bug. I recalled at some point having watched someone beat the game on YouTube. Some enemies had been getting killed a bit too effortlessly but I had thought that maybe I hadn't watched closely enough and he had had the stats for it. And he had been playing a red dragon after all, which is the easiest one in the early game. Neither had I touched damage values since 1.3.1 so why would it be bugged? But after Teco's email I started investigating and found out that for some mysterious reason, in the release version, instead of doing 100/50/25% damage depending on enemy type, attacks were always doing 1000% damage against everything. I couldn't get the debug version reproduce this but the release always did it. Eventually I located the problem in the function that determines damage modifier. It's a really simple function and there was just no way for it to even return a value more than 1.0 -- or less than 0.25 as it then started doing after I started adding debugging messages around. When nothing else worked (I originally had thought I had forgotten simply to clean the project before compiling for release), I rewrote the function slightly differently. And now the release version too seems to work as intended. It's kind of worrying I couldn't determine the exact reason but as long as the game works and is challenging again, right? Oh no! 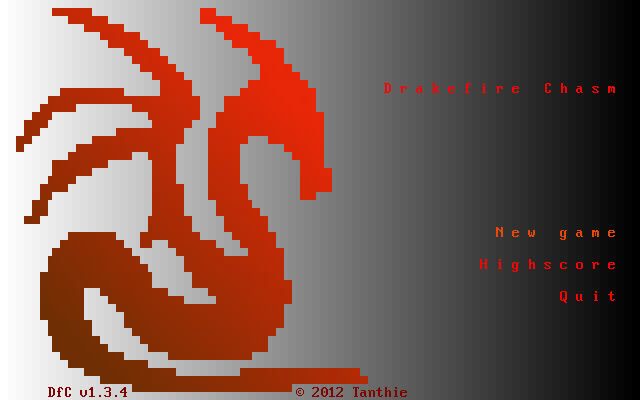 And there goes the only roguelike I could beat! Oh, in case it wasn't clear, this comment was about Drakefire Chasm.